Many folktales, stories, and myths around the world begin with folk “straying from the path” and meeting beautiful females, only to discover that they are treacherous vampires. Since Bram Stoker’s 1897 Gothic horror Dracula the silver screen has seen many versions of the vampire; in 1922, actor Max Schreck played Nosferatu, Count Orlok (Dracula) in a silent classic about the demise of Dracula, and in 1931 Bela Lugosi became the infamous vampire in what is regarded as the first legitimate adaptation of Stoker's novel. In Daybreakers, Hollywood reimagines the world of the infamous nocturnal bloodsuckers, and The Count has been a dominant character on Sesame Street from 1969 to the present. But where did vampires first appear in history? And what do they really represent? In the Highlands of Scotland, ‘baobhan sith’ (pronounced baa’-van shee) were blood sucking fairies who haunted mountain paths and the low roads which networked across the Highlands, where they preyed on unsuspecting travelers, pilgrims, and hunters. 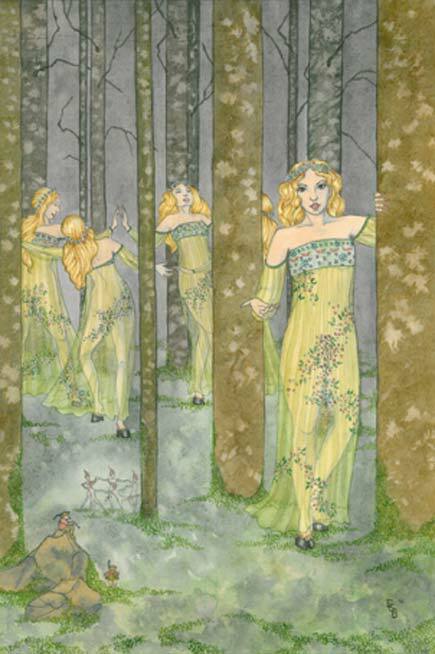 Sometimes known as the ‘White Woman of The Highlands,’ according to Scottish folklorist Donald Alexander Mackenzie, the baobhan sith usually appeared as a “beautiful young woman wearing a long green dress that conceals the deer hooves she has instead of feet.” These otherworldly seductresses were particularly attracted to the smell of animal blood on male hunters’ clothes. While they hold many similarities with the archetypal vampire featured in Stoker’s Dracula, there were differences in their approaches towards their victims. Both the baobhan sith and Dracula hunted in the darkness and rested in coffins during the day but where the Transylvanian count had to feed every evening, baobhan sith only fed once a year. Dracula seduced, then sank two fangs into the necks of his pray, but baobban sith danced with their victims, charming the young men until they were under their spell; then out came their long sharp finger nails which pierced their victims so that they could drink blood from the open wounds. Where Bram Stoker’s vampire shape-shifted into a bat, baobhan sith took the form of wolves, hooded crows, and ravens. They were often said to lose much of their power while in animal form because they couldn’t use their beauty to seduce victims. Both Dracula and baobhan sith were able speak any language using forms of telepathy, and where killing Dracula required a wooden stake through the heart, the only way to repel or kill a baobhan sith was with iron, or by trapping them in their coffin with a stone cairn. Most stories about baobhan sith involve hunters being attacked at night. In one particular tale recorded by Donald Mackenzie, four hunters sheltering for the night were partying, one was singing and the other three danced. The hunters wished for four partners to dance with them and soon after that four women arrived at the hut. Three danced while the fourth sat with the vocalist, who noticed his companions were bleeding and fled from the hut and hid among horses, where he remained safe. The next morning, the man went back inside and found all his friends dead and drained of blood. In a variation of this tale, one of the men noticed the women had deer hooves instead of feet and fled from the supernatural creatures and the next morning he found the three hunters with their "throats cut and chests laid open”. Folklorist Katharine Briggs suggested that the baobhan sith was unable to catch the vocalist among the horses because of the iron with which the horses were shod. One recurring motif in these stories is that of the baobhan sith appear after men express their desire for female companionship, then the men “stray off the path” and meet terrible fates. Blood is the archetypal Christian symbol of the soul (life energy) and vampires sucking blood has been studied in analytical psychology, where it is thought of as a “fatal symbiosis and a nourishing of one self with another’s vitality (two central points of vampire legends)”. This is also said to be an inexplicable component of many human relationships. The study of blood drinking and associating with vampires is something psychologists have studied in depth. In Freud’s world, vampires are projections of repressed sexual longings and fears. To him, the vampire corresponds to incestuous feelings of guilt and to infantile oral fixations. Jungian psychologists, on the other hand, believe vampirism and drinking blood is a symbolic expression of our primal instincts. The “Trickster,” Jung said, is from the shadow archetype and deceives, sometimes playfully, but more often painfully. Described as “A very sexual archetype”, the Trickster has the ability to change genders and play havoc with the hyper-rational personality and community. The archetype was played by Satan of Christianity, Loki in Norse myths, and in Native American mythology it was the Wendigo trickster. These are relatively modern interpretations and they begin only two thousand years ago, but vampires actually appeared in the animistic beliefs of the earliest Sumerians, long before the hoofed feet were worn by Satan in the Bible. The first Sumerians, between 4500 and 2000 BC, believed spirits inhabited all created forms and the “ekimmu” (sometimes edimmu) were ghostly spirits that sucked the life force out of people’s bodies. The ekimmu was the departed soul of a dead person that had been cursed or denied eternal rest because of some unredeemed sin. It held a psychic control over its victims. The ekimmu could walk through doors and walls and would drain the life from the household, including the blood from the owner of the home and his relatives and servants. Similar in nature to the preta of the Hindu religions or the jiangshi of Chinese mythology , ekimmu were all thought of as spirits of deceased who had not been buried properly; therefore they were vengeful toward the living. They caused diseases and inspired criminal activity in the living and the ekimmu were also thought to be "wind" spirits that sucked the life out of the susceptible and the sleeping (most commonly the young). In ancient Babylonia, as in later Christianity, vampires were archetypes for a collective darkness: heretics working against mankind and ceaselessly devouring the life blood. 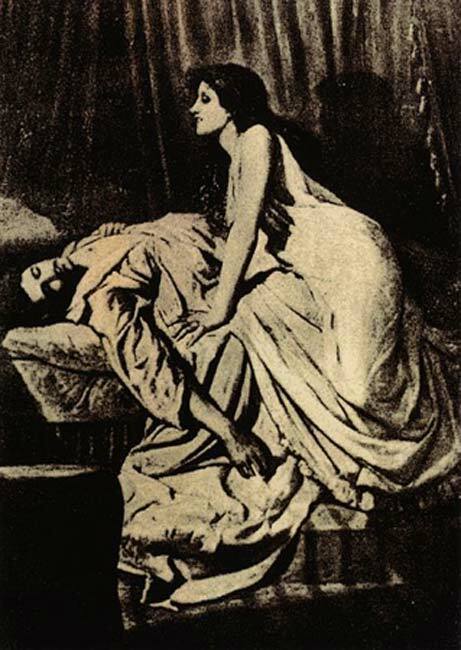 The vampire was not a manifestation of one personal darkness from the Freudian unconscious, but a society wide archetype from Jung’s collective unconscious. It is much older than the Christian Devil, who later played out the trickster archetype. From its Sumerian origins, through Christian theology, as well the vampire resurrected as the baobhan sith all hold the same moral: men who “stray off the path” and have affairs with beautiful women will, in the long run, have their life blood sucked out of them and their whole worlds will collapse, beginning with their families. Mackenzie, Donald A. (1912). A Highland Goddess, The Celtic Review , Vol. 7, No. 28, pp. 336–345. University of California Press. (1974). 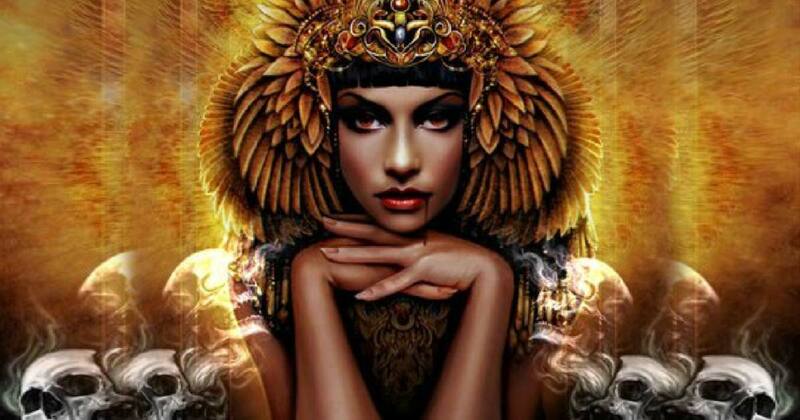 The gods and goddesses of Old Europe: 7000 to 3500 BC myths, legends and cult images." Belford, Barbara (2002). Bram Stoker and the Man Who Was Dracula . Cambridge, Massachusetts: Da Capo Press. p. 17. Mackenzie, Donald. (1935). Scottish Folklore and Folk Life. Blackie & Son Limited. Briggs, Katharine. (1976). An Encyclopedia of Fairies. Pantheon Books. p. 16. Jung, C.G. (1969). “On the Psychology of the Trickster-Figure” in The Archetypes and the Collective Unconscious. 2nd ed. Trans. R. F. C. Hull. Princeton: Princeton UP, Vol. 9, part i, of The Collected Works of C. G. Jung, pp. 255-272. Pinches, Theophilus G. (2004). The Religion Of Babylonia And Assyria . Kessinger Publishing . Claims to be “Vampires in Psychology” but it’s all about Religious Morality with Freudian Sexual-Psychology used to justify the religious undertones of the article. Also if you want to write about the Sidhe, write about the Sidhe, don't try to shoehorn in Sumerian Mythology as an after thought, then sell the article as Sumerian mythology. Are you aware of the excavacarions that were done in the high Himalayans and filmed by the BBC that seemed to include artifacts possibly meant to prevent revenants?